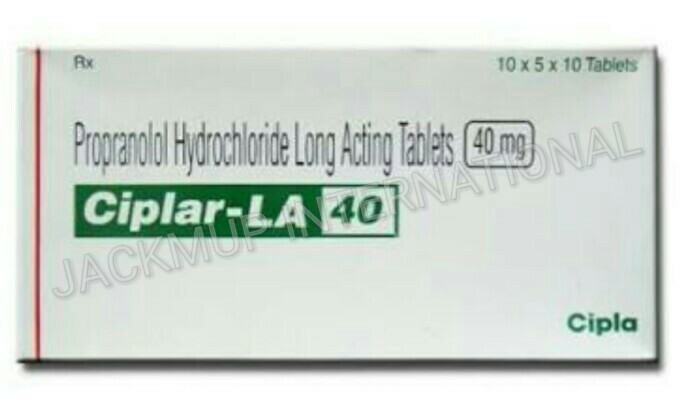 Description:- Ciplar la 40 mg tablet is used in the treatment of angina (chest pain), arrhythmias (abnormal heart beat), heart attack, increased blood pressure , anxiety and migraine. It is better to take Ciplar la 40 mg tablet empty stomach (1 hour before food or 2 hours after food). Avoid Ciplar la 40 mg tablet with high-fat meals such as olive oil, nuts & seeds (Brazil nuts), dark chocolate, butter and meat.